John Robert Isner is an American professional tennis player who is the No. 9 ranked in men's singles by the Association of Tennis Professionals (ATP), and has been ranked as high as No. 8. 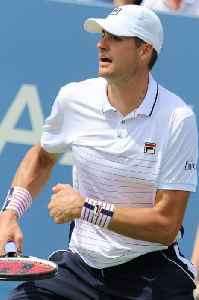 Considered one of the best servers ever to play on the ATP World Tour, Isner achieved his career-high singles ranking in July 2018 by virtue of his maiden Masters 1000 crown at the 2018 Miami Open and a semifinals appearance at the 2018 Wimbledon Championships. He currently has the second-most aces in the history of the ATP World Tour, having served 11,403 aces. At the 2010 Wimbledon Championships, he played the longest professional tennis match in history, defeating Nicolas Mahut in a total of 11 hours and 5 minutes which lasted for three days.